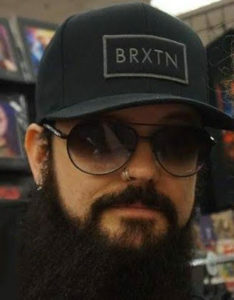 The ScareFest Celebrities Horror Fandom & Halloween Expo! 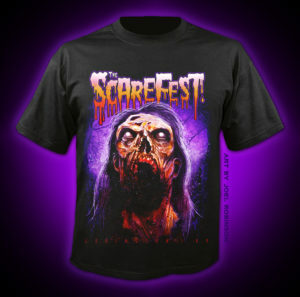 We are happy to announce our official ScareFest Tee Sponsor. Our tees are made of a wonderful soft comfortable fabric with tagless size labels. In 2014, the Acorn was planted. Their goal was simple: create the best company they could, in the most honest and ethical way. With over 20 years in the screen printing and signage industry, their heritage is strong, and strengthens with every client added. They look forward to serving you too! The Acorn is already growing into the mighty oak which will stand the test of time. Year after year The Official Artist of The Scarefest, Joel Robinson, creates another phenomenal wearable work of art for us! You will be able to find our awesome ScareFest XII items FIRST at the Scarefest Booth at the front entrance of the exhibition hall with presales offered online. Every year we sell out of many styles quickly so get yours FAST! 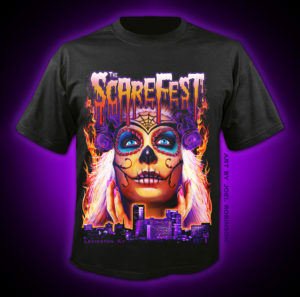 HOWEVER: Every year we have some of our exclusive Scarefest items left over. While many sizes and styles sell out at the convention, others have “collected” over the years of our event. 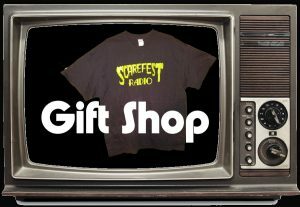 To make space for new stock we are offering all of our remaining commemorative Tshirts at deep discounts via the Scarefest Radio Gift Shop. Take advantage of these fantastic prices on our out-print-styles while they are available.